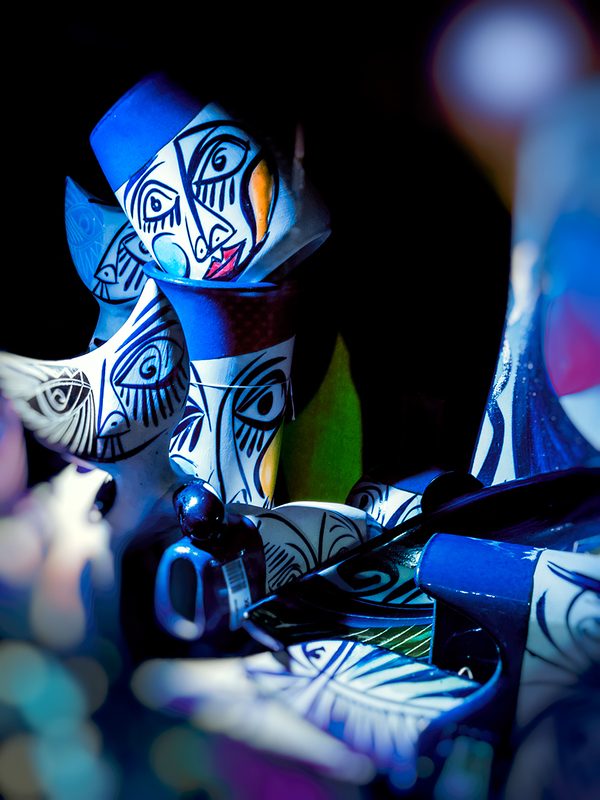 If Picasso were still alive, he would be richer. I mean he is arguably more famous now than when he was alive. Imagine all the royalties he would be receiving from appropriating his artwork. The Picasso style ceramic caught my attention while I was sauntering through a tourist shop. One of the great things of being a photographer who happens to use a smart phone camera is that it is handy and stealth. Hence I was able to steal a shot that I really like using my smart phone. Some people don't like Picasso. I think primarily is they don't understand his art. I think in order to appreciate Picasso one has to evaluate his worldview, his technique and how he conveyed his message based on his philosophy and through his skill. Picasso was a materialist so he treated his human subjects as objects. I think that fact alone tells a lot about his work.